This book has just come in with one of the donation boxes. I never read it as a child but it was brought to my attention in the film You Got Mail in a particularly poignant scene with the main character Meg Ryan. And now I have a chance to read it. It has been in print since 1936 and is charming. Jacqueline Wilson says it is one of her all-time favourite books and I can’t help but agree. So what is the story? 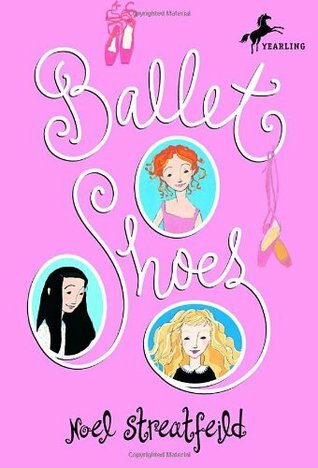 Pauline, Petrova and Posy are orphans determined to help out their new family by joining the Children’s Academy of Dancing and Stage Training. But when they vow to make a name for themselves, they have no idea it’s going to be such hard work! They launch themselves into the world of show business, complete with working papers, the glare of the spotlight, and practice, practice, practice! Pauline is destined for the movies. Posy is a born dancer. But practical Petrova finds she’d rather pilot a plane than perform a pirouette. Each girl must find the courage to follow her dream. This entry was posted in Blog, Favourite Books. Bookmark the permalink.